If you are part of the Instant Pot Craze, you no doubt love how it cuts down on cooking time. 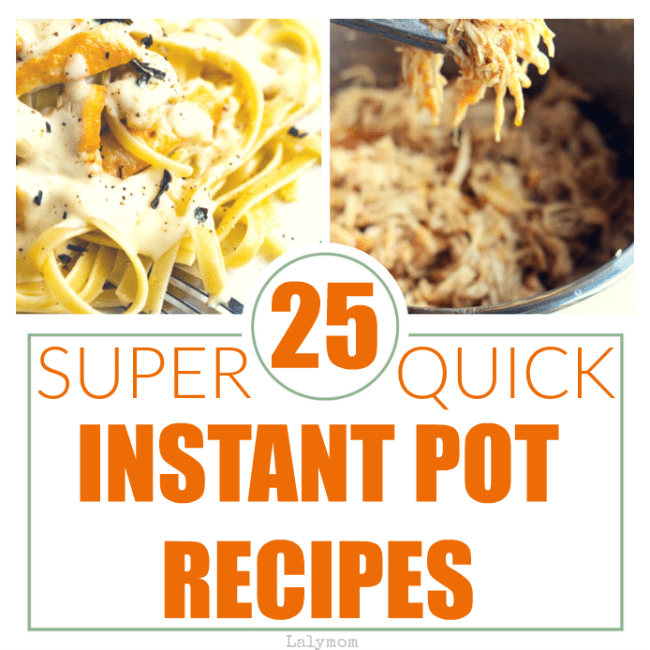 Today I've got a collection of Insanely Quick Instant Pot Recipes. Affiliate links are used in this post. Ever since the day I purchased my Instant Pot, I knew it would get a lot of use. I love using it for weeknight dinner recipes and even to meal prep a whole week of lunch recipes. It can cook frozen meat, make delicious brown rice, and save dinner when I’m in a pinch. If only it could wash dishes too. In the time it takes you to pick a place and order delivery, you can have dinner on the table. HEADS UP: Don't forget to check out the Flirty Aprons Spring Cleaning Sale for $3, $4 and $5 kitchen gadgets and awesome aprons! Ends March 28th. Pro tip: I just scored some awesome Mother's Day AND Father's Day Gifts! Here are some Instant Pot recipes are as fast as they are yummy. They will make dinner time or lunch prep so easy. I'd love to hear your favorites. All right which one of these are you tossing in the ole' InstaPot tonight?! 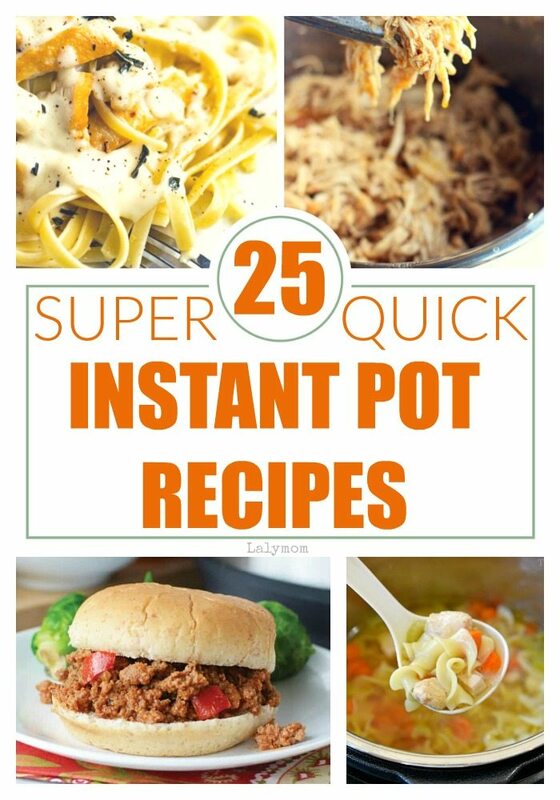 If you love having Super Quick Instant Pot Recipes at the ready, be sure to check out this Instant Pot Recipe Book. It’s one of our favorites!